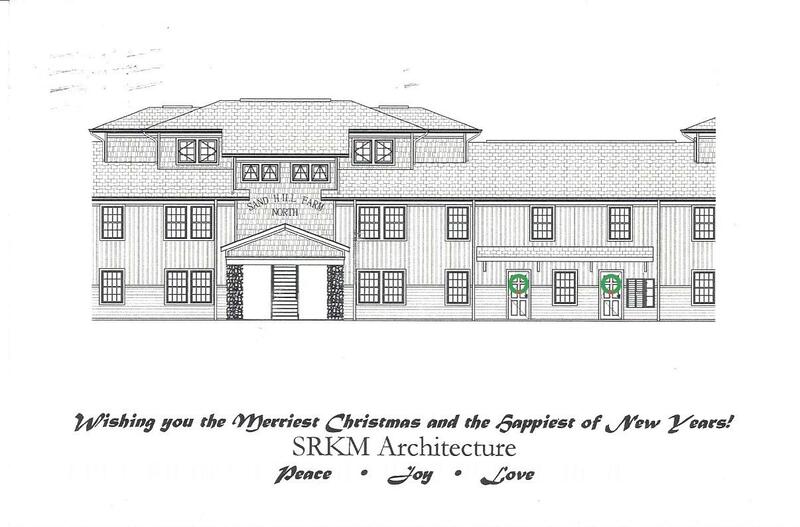 We received a very cool Christmas Card (right) from our friends at SRKM Architecture. They used an elevation from Sand Hill Farm apartments as their cover picture adding a couple of wreaths on the door. A great idea to memorialize the project this way! We really appreciate their efforts and can’t wait to see if the building looks as good in person as it does in pictures. Thanks guys! Merry Christmas! Sand Hill Farm Apartments are moving along. Footing and frost walls have been poured. We’re taking advantage of this week’s warm spell to get the perimeter insulation in place and complete the backfill. Installation of interior underslab infrastructure will begin Thursday. We hope to be pouring slabs next week. Things are moving forward! 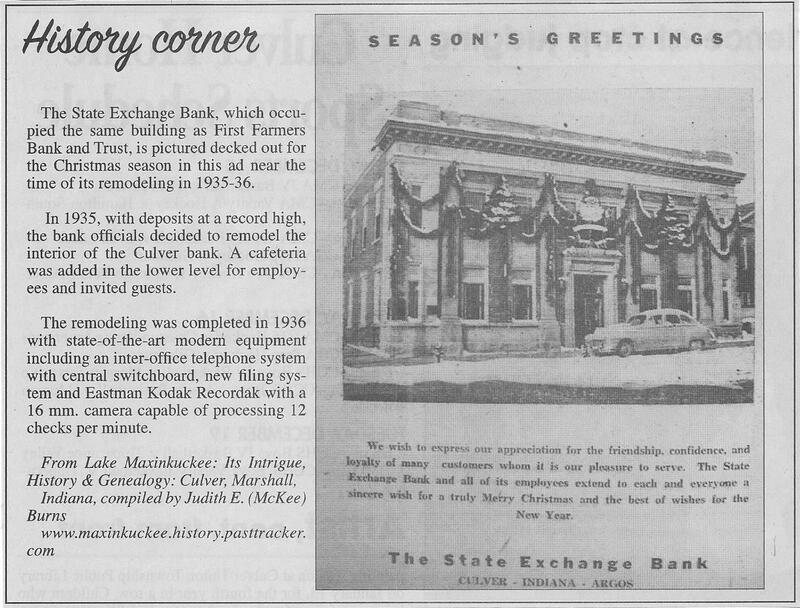 Since Easterday Construction resided in the building at that time, I have to wonder if we did the renovation discussed. Did we add the cafeteria? As a tenant, was my great grandfather a regular there? It’s interesting to speculate, but those are things lost to history. 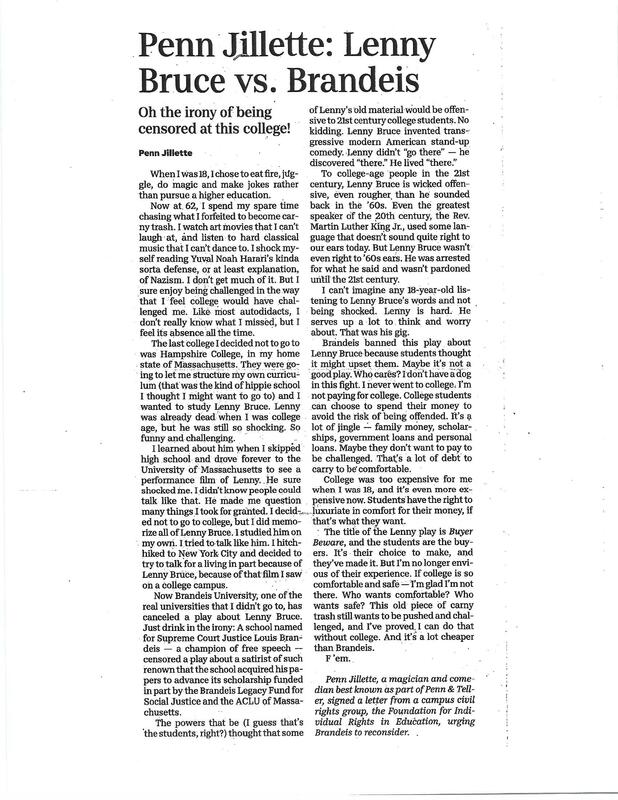 Thanks to Judith Burns for making the picture available to the Citizen through her website. The Town of Culver and their Workforce Housing Committee have been working on solutions to workforce housing for the past three years. Housing was the centerpiece of our Stellar Communities plan the last two years. 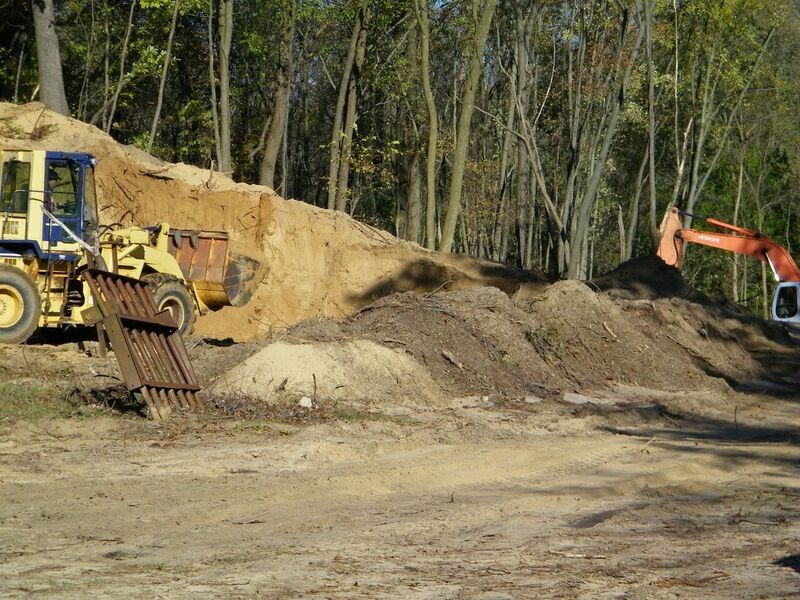 As the culmination of this hard work, Easterday Construction Co., Inc. and the Town of Culver are excited to announce the ground breaking ceremony for the Sand Hill Farm Apartments on November 8th at 3:00pm. 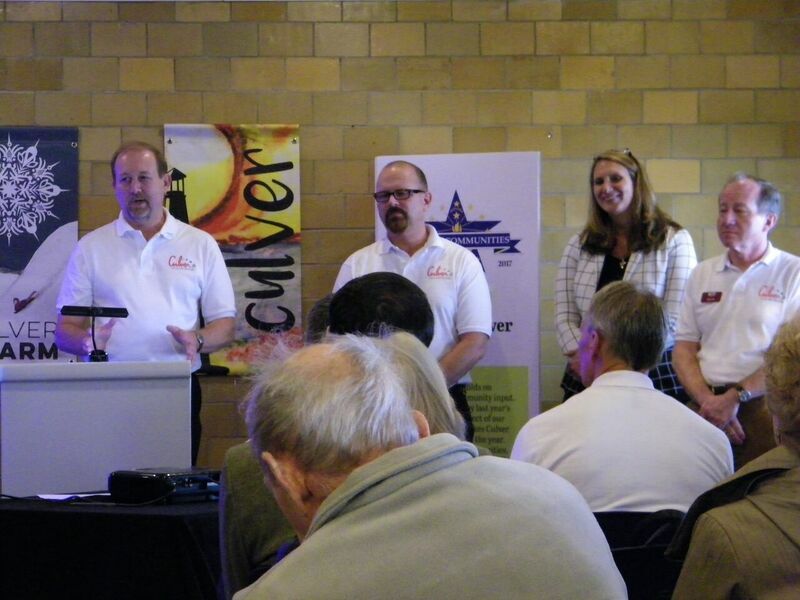 The ground breaking will be at the site, 540 West Jefferson Street, in Culver. Sand Hill Farm apartments will have a mix of one, two and three bedroom apartments totaling 24 units. The development is geared towards the goals of increasing housing opportunities, attracting new families, increasing population and increasing school enrollment. This will be a great kick-off to our Stellarbration at the beach lodge immediately after this. Hopefully you have that event on your calendar as well. Thank you to all that helped make this possible! We hope you can take the time to help us kick the project off right.